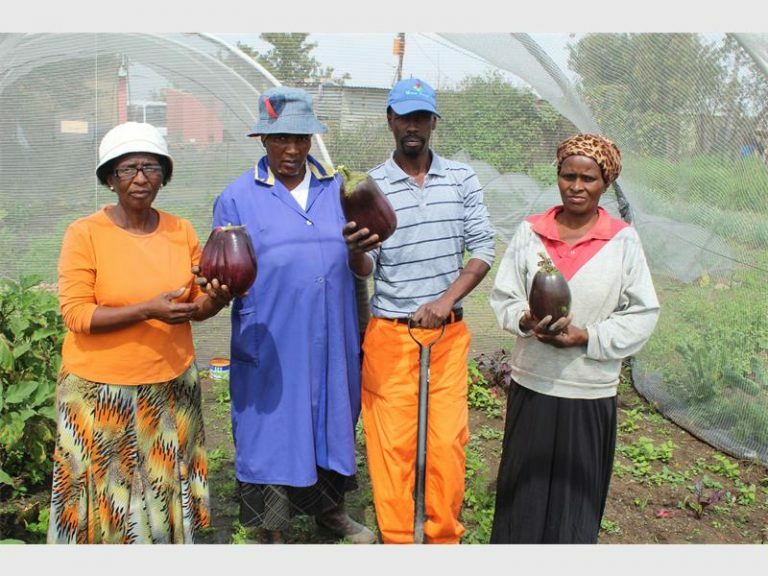 Unemployed residents work in the gardens to help feed the poor in their community. Unemployed and disabled residents from Kopano Disabled Movement are feeding residents through food gardens. The five-year-old initiative was formed to feed the poor and non-governmental organisations in the area. Founder Goodman Nhlapo told African Reporter that they are happy to make a positive contribution to their community. “We identified there are many child-headed households and unemployed parents. “To improve their economic background, we invited those interested to join us in working in the gardens. Unemployed residents who work in their small gardens with some of their produce. “We used some of the unused pieces of land to get the project off the ground and raised funds to buy our first batch of seeds. “We made fertiliser from dirt collected from dumping sites, grass and cow dung because we could not afford modern fertilisers,” he says. Goodman says they are able to sustain the project through the sales they make from selling the vegetables within the community. “Residents love our fresh vegetables and support us through buying our produce. “We use the money to buy seeds and donate the rest to the disability centre for their daily general running because they don’t have any sponsors at the moment,” he says. Mamkgatla Mdukulwana says they are inviting unemployed youth to join their project. “We will share with them the skills in agriculture. “This will keep them from committing crime and taking drugs. “Many unemployed people have a lot of free time on their hands and end up taking part in activities that will hamper their future. “But by keeping busy and helping out in some of the community initiatives, they will learn a skill or two,” she says.